Touched by Olivia and Lendlease today joined the Hon. Stuart Ayres MP, Member for Penrith, and representatives from Penrith City Council to celebrate the start of construction of the newest inclusive playspace in Australia, Livvi’s Place at Jordan Springs. On completion, Livvi’s Place will be a state-of-the-art playground for people of all abilities to play side-by-side on the same equipment, ensuring full integration of children and families with differences. After five years of fundraising and planning, the Hon. Stuart Ayres MP, Member for Penrith, and General Manager for Lendlease’s Communities business in NSW/ACT, Arthur Ilias, shared the honour of turning the sod on the project site, which will see the construction of the 2,400m2 space. The design of Livvi’s Place was guided by principles of Universal Design and was developed in consultation with local children, people with disabilities and their families and carers, local schools and academics. The area will boast a number of interactive spaces, including a large water play area, a sand pit, trampolines, swings, a range of play equipment, a performance stage and picnic areas at the nearby Northern Road Oval. 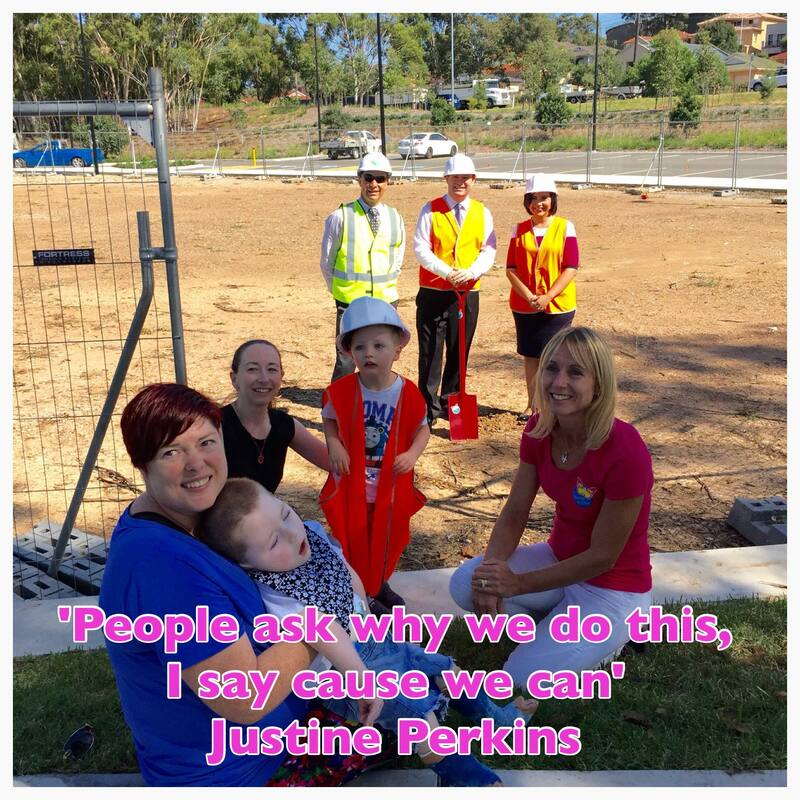 Justine Perkins founded the Touched by Olivia Foundation in 2007 after the death of her daughter Olivia and has since built 18 inclusive playspaces across Australia. Arthur Ilias said the new playground by Touched by Olivia will be another great space for residents of all ages and abilities. “Livvi’s Place is part of our ongoing commitment to providing a sense of place and belonging at our communities. We look forward to watching the community come together in what will be a magical space,” said Mr Ilias. Livvi’s Place Jordan Springs is the result of a collaborative partnership between a corporations, not-for-profit organisation and state and local government. It has been championed by Penrith City Council. Penrith Mayor Karen McKeown said, “This is going to be a showpiece inclusive playground for the City and region. People of all ages and abilities will be able to enjoy leisure time here with their family and friends for many years to come. The playground will also feature personalised pavers and trees donated to Touched by Olivia by businesses and the community. The park is scheduled for completion by late 2016. As part of Jordan Springs’ development, Lendlease is providing sporting fields with hard courts, amenities and parking, lakes and water bodies, and 17 hectares of open space with parks, playgrounds and picnic areas. To stay up to date, join our Friends of Livvi’s Place group here.